All of the below information comes directly from job reviews written by National Grid employees based on 196 reviews. • National Grid manages the National Gas Emergency Service free phone line on behalf of the industry -0800 111 999 (all calls are recorded and may be monitored). • Our portfolio of other businesses is mainly concerned with infrastructure provision and related services where we can exploit our core skills and assets to create value. These businesses operate in areas such as Metering, Grain LNG Import, Interconnectors and Property. National Grid Carbon Ltd is a wholly owned subsidiary of National Grid. It undertakes Carbon Capture Storage related activities on behalf of National Grid. • We are the largest distributor of natural gas in northeastern U.S., serving approximately 3.5 million customers in New York, Massachusetts and Rhode Island. 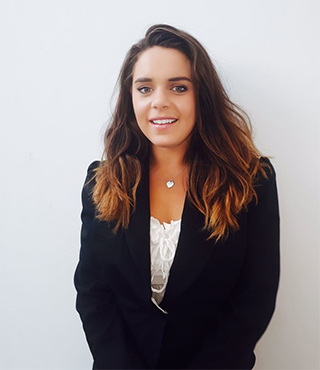 Our Graduate Development Programme offers a fantastic insight into a number of career paths within National Grid that are crucial to its future success. The 18 month programme (36 months for Finance Analyst) has been designed to accelerate your development by offering you key experiences and knowledge in your relevant career paths, ensuring you are ready and prepared for this demanding role at the end of the training. Must show enthusiasm to related job role and understand NG's role as a whole. Consolidate experiences to date and research company. Be genuine and show a real interest in the industry as a whole! Knowing a few facts here and there outside of grid would be very useful. Examples of being proactive both academically and outside of studies, clear examples of team work, acknowledging weaknesses. This part of National Grid functions like a conventional business in that our spends come from our revenues and so the work of the commercial team is absolutely vital in creating success in this business unit. My advice for anyone applying to NRB / NGV would be to have a strong commercial mind and also an interest in new and exciting projects in the energy space. The AC is fairly standard - interview, presentation task and a group exercise. Advice would be get up to speed with the latest challenges / opportunities in the energy sector and how National Grid could be involved. Although the interview won't require you to know a lot about energy generation, distribution or transmission, an understanding and interest in what's going on right now will be useful. For the presentation and group tasks, this is really just a case of showing off your core skills. The interviewers were always very friendly and give you every opportunity to succeed in these tasks - get involved, show enthusiasm and try and work as a team. The company sponsored me through university on a now-discontinued scheme which included a position on the graduate scheme, so my knowledge of the application and interview process is somewhat lacking. See above. However, I am aware that interviews are not necessarily conducted by staff with knowledge of the job area, so attempts to show off technical knowledge may be entirely pointless. Make the most of it, get involved wherever possible. Be a good people person and be eager to learn and offer help in other teams. Be clear and concise with your examples and get straight to the point. Give very strong examples. Read about the company before you apply. National Grid is a large company with many departments, ensure your research is focused on the correct area. Finally, a large part of the application is the ability to demonstrate collaborative work and awareness of health and safety. Prepare yourself for this! 1) Write down your past experiences from work, work experience and university. You will be asked to refer to them during the interview. 2) Ask questions about areas of the company that interest you. Maybe mention the inter-connectors the company is building. Do lots of research about the company before starting the application process. By studying the website/news you will get all of the answers required during the application process. Just make sure you know about National Grid and have examples of how you have demonstrated the competencies required in the past. Try to submit as much information as you can from previous jobs and university experiences, it gives you more to talk about in your interview. Don't be nervous going into an interview, and don't feel pressured if you can't answer a question. The interviewers are trying to withdraw as much information as they can from you. Also, do your research on the company, you won't be expected to know everything, but if you know nothing it shows that you aren't interested in the company or the job that you have applied for. National Grid are really keen to see the values demonstrated in graduates, so make sure you really relate to these in all of the questions. Make sure you are genuine when applying to any role. You must be honest and have evidence to prove the qualities that you want to show rather than just stating them. This will provide the proof of what you are capable of and what you can bring to National Grid. There is also a video questionnaire that involves taking a video of yourself answering 3 questions. One of the questions I got was regarding what my friends think of me. This was a very difficult question to answer as the question is not given prior to the recording. Make sure you keep an example to provide for this question if it comes up. An example I gave was that I am a very reliable person to all my friends. One of my friends missed the last train home after my birthday party. I offered him a lift from Leicester to Peterborough just so he could get home. This was a 2 hour round trip, showing that I will be there for my friends. During the assessment centre there is an interview with 2 interviewers normally. They ask general questions about the business and why you want to be a part of National Grid. Make sure you have done research on the company and also taken down notes which you can take with you. One of the harder questions I was given was, 'What is your least favourite module at university and why?' Make sure you prepare an answer for this and mitigate the issues that arise from this dislike. This will then show the interviewers that when there are pieces of work that you do not enjoy, you will still make sure that it will be completed to the high standard required. Clearly articulate precisely what you like about the company and what you have to offer. Be thoroughly prepared for questions that you would typically expect. Be yourself. Take your time filling out the application - make sure you tailor your application to the company/company values. Know the role you are applying for. Read as much as you can so that you can bring out this knowledge in your interview (e.g. current company news). Make sure you research what the company does really well, as you might be asked why you picked National Grid and whether you know what it does. Competency questions which asked me to demonstrate organizational skills . Find something about the company that you can be truly passionate about and then show it. Make sure you come across as sincere and honest. Think of some great examples of when you've had to overcome engineering challenges as well as personal ones. Also make sure you focus on coming across in a positive light. If you've got to the interview they already know you're qualified to do the job now they want to know whether you're a good fit for the team. Understand the company and its wider industry, as well as understanding the role that you are applying for. When going into the assessment centre, stay calm and be yourself. Great opportunity to learn development skills. All supports are available to grow and progress. Be yourself and learn about company beforehand. Research the company thoroughly and align your experience examples to National Grid core values. What do you know about National Grid? Just have lots of examples of you demonstrating soft skills. Research the company - make sure you have a good understanding of what National Grid do. If applying for Non-Regulated Business make sure you understand how they operate differently to the rest of the business and what they do. Research the company values and make sure that these come through in your application. Show that you are well rounded and emphasise times where you have shown leadership and teamwork. The assessment centre consisted of an interview, presentation and group task. Be yourself, talk to everyone and enjoy it. When interviewed, use the STAR (Situation, Task, Action, Result) model to use examples to answer the questions. Always relate your answers back round to the bigger picture and emphasise how you've added value. -What you'd bring to National Grid. 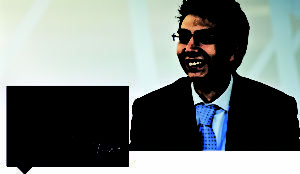 -The challenges facing the UK energy industry. -How National Grid fits into the gas and electricity market and the differences between transmission, distribution, generation and supply. -Who regulates National Grid and more importantly, why we are regulated. Research the company and its values and be aware of the changes happening in the energy industry and how we might be able to meet these challenges going forward. Be prepared to work for this role and be ready to work out on site. Have an interest in the future of energy. Apply your experience/CV to the company and why what you have done is relevant. Research company values/buzz words and relate yourself to them. They will invest a lot of time and money in you to help you become a future leader. If you want to develop both in work and personally, this scheme is for you. Have real life examples of work related to the work you will be doing, what can you bring to the role. Also think about yourself e.g. the type of person you are and how others would describe you. Understand what part of the energy (both electricity and gas) industry national grid sits in, and what it does and doesn't do (e.g. vs. generators, distribution network operators etc.). Understand what's in the news about National Grid, as topical discussions and mentions in the application/interview are very positive. Ensure you can draw on a wide range of experiences. National Grid values all types (not just internships) of experience, including volunteering, clubs etc. so do bring these out to illustrate a balanced candidate. It's a great job and National Grid invest a huge amount into graduates in terms of training and development. Know the National Grid values and show them. Be yourself and do not try to wing it! Again honesty and genuineness is very important to National Grid so be open and honest in your interview. Make sure the application reflects you as honestly as possible. Make your ambitions clear and bring this through with your passion. Do not be afraid to say what you really feel and really want to achieve. Say what you 'honestly' feel and not what you think others want to hear. "How can you make use of your degree background within this business?" "How is National Grid regulated?" Be open to challenges and learning something new every day. Understand the difference between National Grid and other energy companies. Do your research. Have lots of examples of working in a team, listening is as important as doing. They are not after the finished product, they are after people with potential and hunger to develop. Be yourself, they will know if you are lying. Security experience/qualifications are vital as it is a highly technical area within a specialised team. Interviews are more about you as a person and what experiences you have gained for project work, teamwork etc. Know about the industry and the company's values. Company values, examples to competency questions. Make sure you do lots of external activities outside of your university work. For example get involved in running University societies, work at summer internships etc. Have a look at typical job interview questions and think about how you would answer these questions. Additionally I brought hand outs during my interviews to back up points I was making e.g. pictures of the students in Holland which was an event I organized along with the electrical engineering society. Familiarize yourself with the core values of National Grid as these are taken seriously within the business and are buzz words in applications. Speaking from personal experience- Be honest. Integrity is a core quality National Grid look for. If you don't know the answer to a question it is better to not know and highlight this as an area for development, rather than talking around a subject which you are unsure about. Take your time and make sure you read National Grid's core competencies and values on the website. Don't spend ages learning about the business's facts and figures as the focus will heavily be on National Grid's competencies and where you have used them in the past. Have a range of ideas in case the interviewers are not convinced. I would really encourage people to apply for a role within National Grid as it is one of the best companies in terms of personal development and opportunities. Advice: Be as proactive as possible, show your enthusiasm and take advantage of any opportunity that comes along even though the immediate benefits are not always visible. Prepare in advance and think what you have demonstrated in terms of behaviours and knowledge through the activities and projects you have done in the past. Understand the role you are applying for and why. Incorporate examples of where you have demonstrated the company's core values into your answers to the questions. Have a few examples available of where you have demonstrated each of the 4 company values. Be honest - don't lie on your CV. Think of good examples that demonstrate the skills they are looking for. Look on National Grid's website and find the competencies they are looking for and ensure you try to relate answers and questions of examples you have achieved with these competencies. Find out what National Grid do and remember the competencies they are looking for. Jump at the chance. Make sure to include as much information as possible to ensure that your application stands out. This is your chance to showcase what you have achieved in relation to others and enhance your application. If you have done work experience, provide examples of the skills you have developed and how they would benefit you in a role at the company. Make sure you prepare examples of skills you have developed and how they would be relevant in the workplace, this will aid your interview. Be yourself and be confident in your ability. National grids core values are built on integrity, ownership and respect, make sure you act accordingly during the whole of the assessment centre. Know and understand the fundamentals of the business and the energy market. Research into what activities Grid undertake which may not be obvious at first glance. Be prepared to demonstrate why you have applied and want to work for Grid over other companies. Look at the company values, as well as what tools are being implemented across the business (such as performance excellence etc). Gain some knowledge in the industry and it's challenges. Demonstrate continuous improvement approach. Follow the "STAR" framework. Focus on the depth of your answers as opposed to quantity. Take interest in energy issues of today, understand UK regulatory environment, demonstrate interest in people. The application process is fairly straightforward - be yourself in the video interview and make sure to include a few points backed up with some examples when answering the questions. The assessment centre was a 2-day event comprising of a presentation on the second day (prepared for on the first day), an interview, a group exercise and a dinner. I think it's important to show how well you interact with people, especially in the group task. The interview is all about knowing yourself inside-out so you are able to provide examples of what you've done when answering their competency questions. You must work quickly when preparing the presentation and maybe brush up on your presentation skills if it is a weakness. Find out as much as you can about the role and business area you are applying to as you will be tagged to go back there at the end of the scheme. The scheme itself is utterly fantastic and doesn't even compare with a lot of schemes I know about from friends. Do your research on the company and the way it works. It is a private business but the way it works as a regulated business is not normal. Find out more about the role in the interview. Look into Ofgem and National Grid when doing research for your assessment centre. Have a good understanding of energy sector, new developments, future considerations and interpersonal skills. Research the company well and get a good understanding of the area you are working in. Show a real passion for the role and company. Also back up competency questions with examples. Try to include something in your application that makes you stand out e.g. learning code in my spare time or a big achievement at university/placement year. Ensure you research the company- know why you want to work for National Grid and what attracted you to apply for the Graduate Scheme. Be yourself and show your passion for wanting to work for the company. Detail your passion for the industry and job in your application. Make sure you have relevant experience for your job role. Research the news, trends, competitors, history and opportunities of the organisation and its job sector. Identify which skills, interests and experiences the employer is looking for by revisiting the job description and any other material that National Grid has sent you. Make sure you include things individual to you that make you stand out above your academic achievements. National Grid are focused on the person more than the grades so make sure you talk about work outside of University and anything that shows your skills. Try to understand who does what in the energy industry. Carefully research the company and roles available and make sure you know which area you would like to apply for and the reasons why. Do your research on the company, what they do and the various areas of the business. National Grid really is a broad company with a few distinct arms that all have numerous departments within them. There is lots of information available about National Grid, what they do and the challenges they face. It is very beneficial to have this knowledge ahead of the assessment process, especially the interview. Research what qualities National Grid are looking for in graduates and prepare a number of situations from your past where you have demonstrated these qualities. Research company core values and ensure you demonstrate these throughout the application process, and then hopefully the rest of your career. Research company values, prepare a situation in which you've demonstrated these values. Research the company, what they do, how they do it and the challenged they face. Think of examples of working in teams. State why National Grid appeals to you and how it fits in with your skills. What can you bring and what can you learn? Make sure you understand how the UK energy market works for both gas and electricity (e.g. role of suppliers, generators, National Grid, DNOs etc). Be aware of how we are regulated (i.e. Ofgem) and importantly why we are regulated as a monopoly industry. Take the opportunity to explain your skills and what the graduate scheme offers you in terms of personal development. Take your time and try not to use generic answers, try and think of different examples that others applicants may not have. Relax and be yourself. The content of the assessment centre isn't particularly hard but challenges you in different ways. They just want to see how you react working in groups but also under a bit of pressure. Show your willingness to learn and adapt. Be flexible and be motivated for self-improvement. Show your willingness to learn and adapt. Be flexible and be motivated for self-improvement. Research National Grids core values and be able to talk about them. Have examples prepared for common interviewing questions and clearly display an interest in National Grid and the department you will be applying for. Try to think any questions through logically. Take an interest in the energy sector rather than just applying to get a job. Ensure you reflect on your personal experiences rather than just your teams experiences in applications and interviews. Focus on compentency based application whilst also showing keen interest in the energy industry. Relaxed environment during interview. Be yourself. Do it! You wont regret it, you'll meet so many people who all want you to do well. The training you'll receive is brilliant and then once you're into your role you'll be given great responsibilities and real life work but with really good support behind you. Have an idea of experiences you have had in university, previous jobs, volunteering etc. that you can draw on to prove how valuable you will be to the company. Research the industry and NG's role. I skipped the initial application as I was sponsored by National Grid on a student programme. This is a great way to get into the company. Look at the company website and know what we do and what our core values are. Be able to talk about how you have demonstrated these values in your previous work or studies. Take your time and tailor you application to National Grid's core values. Don't try to guess what the assessors want to hear, be yourself! When applying for this role you should give examples of technical achievements and show a passion for working in the energy sector. It is important to show drive, enthusiasm and give examples of how you add value and examples of high quality work. When interviewing for this role you should give examples of technical achievements and show a passion for working in the energy sector. It is also important to show creativity in thinking. Relax, they give you great guidance on how to pass the assessment centre, just make sure you listen to it! Be open and honest in your application, National Grid values integrity and personality in their employees. The volume of applications is huge - ensure you showcase what makes you stand out from the rest! What do you bring to the table? Make sure you try and stay relaxed. The hosts of the assessment centre do a very good job at creating an informal yet professional atmosphere during the assessment and this is because this is when people tend to perform best. That is what National Grid want, they want to see the best of you. Understand the graduate competencies and have a scenario where you have needed each in the past. Make sure your CV is correct and up to date. Be yourself! Assessors will know if you are being fake. They are trained to look for it. Also don't think you have failed at the first hurdle in the assessment centre. I thought one task had gone really badly, but actually feedback was quite positive. They are looking for lots of different people, not one type of loud outspoken extrovert who dominates everything. Know what you are good at but also what you can develop. Be honest about your short-comings and why you would like to address them. Research what the company does and what would be included in your role. Working in a team is also about listening - you don't need to be in charge of the group task to do well. They are looking for team players. Think about different situations at work or uni where you have learnt something about yourself. Could be overcoming obstacles or working with challenging people. It is really difficult not to be nervous, I know I was. I was able to explain afterwards why my presentation had gone really fast because I spoke really quickly due to nerves. Being able to keep them under control is important, but also knowing when you have let them get the better of you slightly and being able to admit it is good as well. Think about what you do and the how you do it. Have examples around key competencies! Make sure that you understand the regulatory environment that National Grid works in. Also make sure you know the competencies and values of National Grid, which you are assessed against. Be yourself, and don't reconstruct your CV at every opportunity. Use the CV as a tool to show your achievements; keep it factual and keep it simple. Honesty and integrity are valued at National Grid, so ensure you keep this in mind when constructing applications. Let your personality show through, and your CV support your achievements; National Grid wants the best people, which may not translate to the same criteria as other FTSE25 companies. Read as much as you can on National Grid before applying. It's a typical competency based interview. Make sure you have thought about different times in your life when you showed leadership skills, had a problem and worked on its solution, etc. It's a great place to work! Its training people to be future leaders. The impact of the work can always be drawn to the company's core values. The company when interviewing aren't trying to catch any one out. It's a competency based interview and as long as "you are yourself" you should be able to get through easily. Preperation is key - know who the company is and what role you're applying for. Think about how you'd like to shape the energy industry. Ensure that you have read up about the company you are applying to, they will value this greatly in any interview and it helps to demonstrate your passion for the job. Be prepared to work individually and as part of a team. Focus on preparing for the key competencies which are being assessed and make sure you understand our role in the energy market, how we are regulated etc. Ensure you have understood the company regulatory framework. Be enthusiastic and express passion for energy and potential. The assessment process involves an initial telephone interview and then a two day assessment centre. Throughout the assessment process, you'll need to understand National Grid's role in the UK's energy industry, which you can research on the website (try the investor centre for some helpful one page summaries). You should also try to find out about the role of our regulator, Ofgem, and current issues affecting the energy industry, such as climate change, renewable subsidies and price freezes. During the application process, you need to be able to provide examples of times when you demonstrated key competencies such as time management, leadership or team work, so have a range of examples to hand. It is really important to draw your answers from a wide range of experiences, so bring in university, volunteering and previous work experience if you can. Be honest in your CV and when answering the questions they give you. National Grid is a friendly and honest company and they will appreciate your honesty. I was asked a lot of questions about things I had done in the past and how I dealt with situations. Again be honest when answering these, they are not trying to catch you out and are just trying to get the most out of you. Do it! Remember to include information about hobbies and interests too as the personal development opportunities outside of University are just as important as your academic achievements. Be yourself and be genuine. They aren't trying to catch you out, they just want to see you at your best! Make sure you focus on experiences as well as qualifications: how do you demonstrate the National Grid core values and what will make you a great person to work at National Grid. Be honest and be yourself - they will know if you are not being genuine. The interview focuses on you and what you have done so make sure you can recall a lot of different experiences and understand what your real contribution was to these. Be prepared to talk about behavioural capability rather than technical experience. You need to be willing to move location during the 18 month programmes to ensure you are taking the best opportunities. It is also good to come into this role opened minded, you may have your heart set on becoming a Project Manager but there are so many more jobs inside the Company which you may have never even know about or consider which you will enjoy. It is really important to draw your answers from a wide range of examples. The company looks for well-rounded people so even though they are interested in your academic record they also want to know what skills you have developed from extra curriculum activities. Be yourself, with a two day assessment centre, it would be obvious if you're not. Get stuck in in the activities, its not necessarily about the outcome but more about the content and how you come across in them. Are you passionate about the energy industry? Do you want to be at the heart of the energy infrastructure? If yes, National Grid may be the right company for you. It is vital that you have a passion about energy and want to make a difference. I would advise be yourself, think about what makes you unique, what skills and experiences do you have. Also willingness to develop and change as a young professional. Make a make map on key projects that you have been part of, then work out what skills you have developed and reinforced. This helps coming up with examples and ensuring your example is the strongest for the skill. Be honest, everything that you claim to have done is checked thoroughly. Be passionate about the energy industry, and let your personality show through in the interview. Look at the corporate responsibility pages on the company website - the company values are very important and they want applicants who display them. You will be asked about your motivation for joining the company, your knowledge of the company, and about basic competencies (Building relationships, Delivery, Developing Self & Others etc). Use the national grid website to prepare, there is a wealth of useful info on there. Focus on understanding how being regulated impacts the company, and consider the Transmission Owner, System Operator and Gas Distribution roles of the business - as well as the unregulated business. Be open and honest when at the assessment centre. National Grid Values honesty highly. Work as a team and communicate effectively. Stick to the core values of the business to ensure success at each stage of the application process. Signing bonus plus yearly bonus based on performance. Coming off the scheme significant salary increase. When completeing the application make sure you put in as much effort as you can to get it to a high quality and able stand out. Research national grid and its business model and come prepared with examples of how you have shown the values/competencies that you are assessed against..
Be enthusiastic and have a strong focus on your own development. Name a time when you lead a team. Name a time when a project you worked on went badly. Show how you "live the National Grid values"
If you get to the point where you are invited to the assessment centre, remember to be yourself! You've got this far which means they've hired you on paper, now show them your personality and let them know that you're someone they'll really want to work with! Remember the STAR format (Situation, Task, Action and Result). It's fundamental that you give examples and evidence for any answers that you give to the interviewer. Again,be natural/personable, these people want to hire someone they will get on with! Spend time understanding what the company does and understand the role you are applying for. It is great to see where you skills and competencies will best match the needs of the company. Be honest in your application and show and interest in the industry/sector. The interview is a straightforward competency based interview designed to gauge your interest in the job and competencies that are applicable. Be prepared with examples to match various competencies, with a range of academic and non-academic examples. There is also a group exercise where the emphasis is on working together and finally an individual presentation exercise. Overall the assessment centre is straightforward however it is critical to stay calm and ensure your responses are well thought out and collected. Be confident of strengths and how these can apply to the role. if you are not specifically trained to do this job, stress how what you know and have learned is relevant to the role. demonstrate forward thinking approach and eagerness to push change. Due to the nature of the work, National Grid is a risk adverse company. Don't try and demonstrate you are a risk taker. If you are a risk taker and that is something you enjoy. I don't think National Grid is for you. As per any interview learn what the company does. It has many arms to the company and it would be useful to have a knowledge of them all and how they fit within the energy sector. National grid is a very personable company, during the interview process there will be opportunities to talk to many people from around the business. Take these opportunities it will relax you and get you noticed. My role is in a great department which gives excellent exposures to many areas of the business. A role here gives good opportunity to work with colleagues in a variety of departments and builds good project management and leadership skills. Research some of the interview questions you are likely to be asked. be yourself - don't make things up just be genuine and honest, those are what National Grid values. Ensure that you take your time when filling out the application form, it's your chance to shine on a piece of paper.. don't rush! If having a telephone interview / video make sure you come across professional and have read up about National Grid. Do a SWOT analysis of yourself to enable you to speak about your strength and weaknesses, what makes you stand out from the rest? 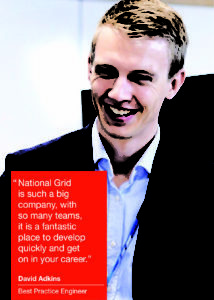 National Grid's graduate scheme is highly competitive! When applying to the graduate scheme it's very important to investigate the company. While it may be true you'll be doing an IT role, it is important to remember IT is a supporting function within this business so therefore, having a strong understanding of the business is key. There will be questions about this during the application process. Do the application to a high quality - if you really want the job give it your 110%. Prepare your competency answers, read around the graduate pages FAQ's. Stay calm and be yourself. Expect questions around the company as well as questions about yourself. Prepare questions to ask the person conducting the interview. Be polite, be confident and a smile can't hurt! Resarch into the energy industry. Change is coming fast! Get a good understanding of what NG do as it's a very niche role in the industry. Be honest throughout your application process. It's so easy to trip yourself up on a lie, so just make sure you think of multiple examples where you've demonstrated the company's core competencies before each phase of the application process. It's almost all "Think of a time when..." questions, giving you the opportunity to demonstrate their core competencies. The interviewers will prompt you if they think you are going off track, and don't be worried if they do. They're doing it to help you. If you want variety, responsibility and the ability to choose where you work you will be well suited for this role. You do not have to be super technical to work here there are many roles which cater for both technical and non technical people. Ensure you know what National Grid does including which countries we operate in. A healthy work / life balance is encouraged so ensure when answering competency questions you drawn your answers from a wide range of activities (Work experience, Hobbies, University etc). Most importantly be yourself. Try to demonstrate a wide range of soft skills, as it is this skillset that will set you apart from other applicants, not academic success. Try to make friends with your fellow candidates as it is a two day assessment centre, so developing a rapport with a couple of people really helps you relax and also enjoy the downtime between tasks. Also research the challenges facing the energy sector in the future, and how these will affect National Grid. Read the National Grid website and research all the training programmes. Make sure you pick the one that suits you. Make sure you research National Grid and know what their role is in the Energy Industry. Also it is vital that you know and understand how National Grid are regulated and what the current targets are. At the assessment centre just be yourself, open and honest and be approachable and positive at all times. Consider how National Grid is unique in the energy industry and how this fits in with your interests. Understand how and why National Grid is regulated. Consider the energy landscape now but importantly in the future - what are the challenges the industry and therefore National Grid are facing? If this interests you then you are applying to the right place and people will pick up on that. Have a good overall understanding of the company and what it does, in the UK & US - this is something that not many people understand so will put you above other candidates. Make sure you read up on what National Grid does and what our current challenges are. Be clear on what it is you want out of your career and ensure National Grid can offer you this. Answer truthfully because you may end up getting caught out! Make sure that you understand the fundamentals of the company i.e. that its a monopoly, regulated by Ofgem, transmission owner, system operator. Also make sure you look into the US side of the business as many people forget! It is a very complex business and there's alot of information about it on the website that is not necessarily easy to understand at first. The interviewers will ask you what National Grid does so make sure you are prepared. Also really think about why you want to work for the company, your areas of strength but also be mindful of your areas for improvement. Just remember that the assessors are not there to catch you out - if you've got to an interview then they clearly think you are worth it - they just want to get the best out of you on the day. Show an interest in the power industry. It's an industry that's developing at an extraordinary rate and will be shaped by today's gradutes. National Grid are looking for people show motivation and passion about being involved in such an exciting time for their industry. Having a good idea of the challenges that the power industry is currently facing and how National Grid fits into that will convery your enthusiasm. Reading newspaper articles, going to IET conferences or browsing the National Grid website are good ways of developing your knowledge. Also, knowing about our regulator Ofgem displays an insight into how our business works. Do your research - not just on National Grid but the energy sector as a general and this includes prices rises, new technologies and government policies. You need to be adaptable to changing situations. Make sure you show an example of this in your application. It is vital to have a genuine interest in the Power Industry and also the drive to learn and develop yourself. In the assessment centre expect a range of activities not just an interview: a group exercise, a presentation and an interview. Go to nationalgrid.com and look at all of the programmes on offer - some may suit you more than others. Do your research about the company and how the energy industry is set up. Take your time with questions, make sure you understand what you are being asked and don't be afraid to ask for clarification. Relax and sell yourself! If you dont know the answer say, the interview will know your trying to make something up. It is a people role therefore good stakeholder management skills and the ability to work with others is essential. You get judged on your behavioural traits rather than your knowledge. Prepare examples of when you've displayed good behavioural types. Do your research. Give good clear examples to highlight your experience in the application form. Relax, Be yourself (cliche, but very true). Show passion to work and make a difference in solving the very real issues future energy issues we face. Know the business - research. Understand regulated and un-regulated businesses. National Grid want great technical and commercial people who can also demonstrate good interpersonal skills and this is reflected in the assessment centre as there are a number of tasks you must undertake. When applying for the Company it can be beneficial to have some idea of where you would like to be 'tagged' to so the Company can try and accommodate this - it doesn't have to be very specific but think about your interests in advance. Don't just focus on what you have done - think about how your experiences have helped you develop, what your actual impact was and what you may have done differently looking back. Make sure you know about National Grid and what it does. Where does the money come from? This is a very complicated question, but if you can get your head around at least the basics it will take you a long way to understanding why the company does what it does and how it does it. The first few stages are very competency based - so make sure you have lots of examples prepared. At the assessment centre just try and get involved. Forget the nerves and the assessment (especially at the evening dinner) and just try and enjoy yourself and get to know the people you meet. Again be yourself, the people who are interviewing you are likely going to be your manager in one shape or form, they are looking for exceptionally talented people, but having made it to the interview stage you have already proved that you are talented. They are now looking people who would fit into the department and show the qualities that will make you a great manager and leader in the business in years to come as well as being someone who is easy to get on with on a personal level. When answering the "think of a time when you demonstrated good teamwork/ leadership skills/ overcame problems in a project" etc. questions in the application process, keep a file on how you answered those questions, the stories and examples you used, and what other questions that same story could answer. Try and have at least a few examples for every question you've seen in any application you've done, for any company in any industry, as these examples are what you are questioned on in the assessment centre for National Grid. All these companies are looking for similar traits (teamwork, leaderhsip, innovative thinking etc.) so its good to have some good concrete examples for all of these that you can go to in an interview situation. Don't panic if you don't know the answer and don't be afraid to ask for a bit of time to think. The assessment centre consists of 3 exercises, only one of which is an interview, so be prepared for something you may not have faced before. Finally, National Grid aren't looking for someone who takes control and dominates other people. The biggest trait they are looking for is teamwork and good people skills. So make sure you remember that at the assessment centre. Really research the company and National Grid's line of sight and core values. National Grid looks at the grduates to really be hot on these values and really represent yourself in the best way. At the assessment centre be yourself. The tasks have been designed to test you and put you in situations. Be honest and give it your best shot thats all they can ask from you. Dont be afraid to ask questions and challenge! Don't act like someone you are not, be yourself when it comes to an assessment center. Have a few examples of projects you have worked on at university or even out side of work and try and link how you could use transferable skills from your hobbies into your job. Be prepared to move around the country. I believe that you extract the greatest reward from the programme if you are flexible. Working in different areas of the business will set you up with a wider business knowledge in the long run. Do your research! Learn more about the company you are applying to and try to stay composed in the interview. Listen to the questions being asked and take time to digest it before answering. Also, don't be afraid to ask questions at the end; this shows enthusiasm and employers will relish this. The assessment process involves an initial telephone interview and then a two day assessment centre. You'll need understand National Grid's role in the UK's energy industry, which you can research on their website. You should also try to find out about the role of our regulator, Ofgem, and current issues affecting the energy industry, such as climate change, renewable subsidies and price freezes. During the application process, you need to be able to provide examples of times when you demonstrated key competencies such as time management, leadership or team work, so have some examples to hand. Do a lot of research into what the different parts of the company do and how we interact with the regulator Ofgem. This will improve your chances of getting into the company as well as having a better idea of what area you would want to work in. What does 'inclusive and diverse' mean to you? - this is asking you how you behave around people in and out of work, that you treat everyone with an equal amount of respect and ensure they feel included. for all interview questions have examples from previous work/ university. Make sure you understand all the different stages in the process and don't be afraid to keep contacting the recruitment team if you haven't heard anything back. Also be aware of the different roles available as you may be offered one if they run out of slots in the role you have applied for. The phone interview and assessment centre interview are mostly around the company's competencies so make sure you have good examples of those qualities. Apply as soon as possible and ensure that you fill the application in thoroughly, using the full word limit on each of the text boxes. I would also recommend that for the assessment centre that you just need to relax and be yourself and make sure that you take the time to talk to the volunteers helping out as well as the other candidates. It is also good to highlight any volunteering or charity work that you have done as National Grid enjoys partaking in these causes. In my own experience of the application process, I would recommend you remain patient, I applied in October and had completed all stages of the application bar one, prior to December and I didn't hear back until May that I was being put forward for an assessment centre. Be calm and be yourself, if you aren't sure of any answers to the questions take a minute or two to think rather than starting to talk until you have figured out the answer. You need to have a basic understanding of what National Grid does, so it is worth knowing about both the electricity and the gas side of the business. Working for National Grid means you are at the forefront of the rapidly changing energy industry. There is great opportunity to work on new, interesting and challenges project and develop personally too. The Graduate Development Programme provides well structured training and development in addition to on-the-job roles.. Being at the heart of the industry and working for a company who do an important job. Feeling like you are making a difference. Often a slow paced nature to the work dependent on teams and have to really show/convince managers to receive the challenging stuff. Size of the company means lots opportunities to move around and do different things - there's a role to suit most people's interests. Perhaps difficult to see the effect you have day-to-day due to the size of the company and the billions being spent across the company. The staff development within National Grid is fantastic. When required there is an expectation that people will work long hours. The exceptional support, training and advice that the graduates, ETP's, and apprentices are given by people from all parts of the business, at all levels. The company seem to be more focused on the electricity side of the business. As it is such a large company, it provides me with an opportunity to go anywhere in the business if I so wished. This means that I can constantly develop and challenge myself without having to stay in the same job. During the graduate program I have the opportunity to move within the business over 3 placements. This allows me to have more knowledge on the whole business. We have training to learn how National Grid makes money and how our core business works. By having this high level approach we can see how our work helps the whole business and what we are here to do. It gives us the sense of purpose we all need when going to work. There is also a flip side to being such a large company. It means that there are many processes that are in place for certain tasks. This can sometimes be frustrating when there are quicker ways to complete a task. To change a process it may take months to years before it can be implemented as there are so many processes to change. Whereas a smaller company can be more dynamic and flexible to allow for different changes. This is become more of what National Grid will become as competition is brought into the market, but this is a change that has not yet been implemented. That we are the best at what we do. The culture - National Grid really supports employees having a work/life balance. The values are clear and they shine through the employees. The company invests heavily in training and support and as a result you feel valued and respected. Some areas of the business are process heavy as i'm sure is the same with all companies of a similar size. Slow to change. Being outside the realm of traditional competition there isn't the necessity to evolve quickly as other businesses must. National Grid value their employees and understand the importance of work/life balance. The work is interesting and challenging. structure of the teams changes a lot. The best thing is the opportunities to develop yourself in any direction with a development plan being driven hard by Human Resources. This allows you to take ownership of your career from day one and enhance your skills for the future positions you aspire to. Though they are slightly moving away from this by tagging graduates to certain areas after the scheme has finished. You should be encouraged to find the place that interests you the most as this would lead to the highest level of employee satisfaction and engagement. Honestly nothing glaringly bad about the company, really is a good place to work.My only concern is that we are moving away from doing any technical work ourselves and contracted it out, which leads to a company full of middle managers. Large company - sometimes change can take a while to take effect. -Pay is reasonable. Better than Civil Service but not as high as finance, banking and professional services. Massive scope for contributing and influencing positive change in the energy industry, which is central to the country's social and economic prosperity. Achieving change in large corporate organization can be very difficult, though the rewards are worth it when you are able to break the red tape. High career progression and diversity. Huge exposure to different parts of the energy industry: it's no wonder many people stay so long, as you can effectively change to a whole new industry within the company. Friendly with networking. Supportive of development. Responsibility offered in work. Can be slow to adapt and change, and timeframes of work can be longer than need be. Not as fast paced as other firms I've worked at before. Great flexible hours and working environment. Very supportive and focused on development and wellbeing. A great place to work. Due to the set up of performance reviews it can be quite hard to score Above Target. They support and care for their employees and truly try to develop all of us. Try to instill and motivate teams that are adverse to change. The company values drive and ambition. You can push to develop more and more, and take on responsibility to work on really big, important projects. There seems to be different rules for different departments in terms of flexible working which doesn't seem fair. Being a part of a critical function allows you to feel like what you do is really helping something that is vital to day to day life. Sometimes can be seen as a slow company in terms of change and implementing improvements etc. Lots of different roles which I can easily transfer to.